﻿WNY Advising's mission is to foster collaboration and networking among advisers and higher education professionals in the greater Western New York (WNY) area, Ontario, and beyond. Such collaboration across institutions and organizations can benefit both our practices with students as well as our own professional development. 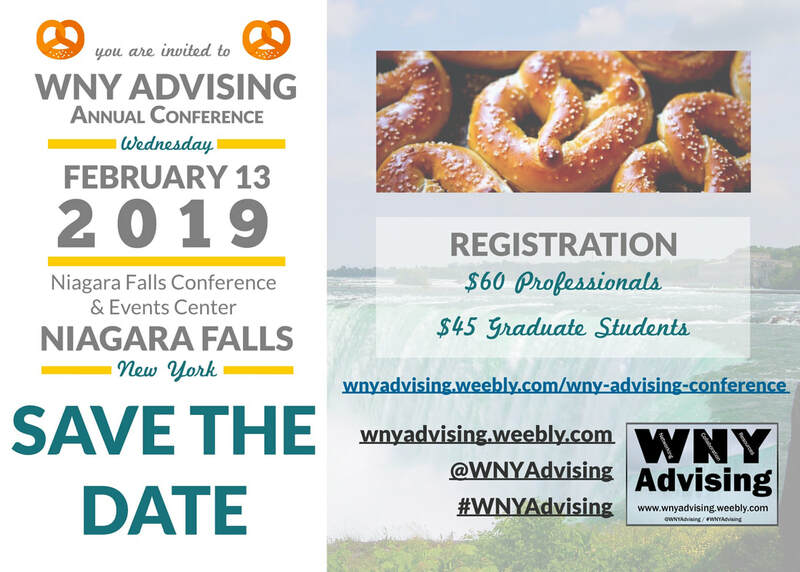 WNY Advising has evolved beyond its role as a conference provider into a professional development resource / event hub for advising and higher education professionals to share resources and connect with each other. It also acts as a repository for advising, career, social justice, technology and professional development resources related to higher education. ​WNY Advising is a collaborative endeavor which encourages partnerships with other higher education affiliated groups. ​We welcome any organizations, institutions, and individuals who wish to engage with us in ways that mutually foster the development of resources, professional development opportunities, and networking opportunities for our members. WNY Advising hosts an annual spring Advising Conference in Buffalo, NY. It is a collaborative endeavor planned by dedicated advising professionals from many WNY & Ontario institutions. The higher education and advising conference, which has been hosted since 2000, is a great opportunity for professional development and networking with professionals in the region and beyond. Partnerships with other higher education organizations. We welcome partnerships to enhance professional development opportunities, support, and community. We encourage involvement as WNY Advising is a collaborative endeavor which relies on advising and higher education professionals. One of the primary ways to get involved is to join the annual conference committee. Follow us on social media for updates & resources.